It is a natural part of life’s journey that a time of psychological disequilibrium, dissatisfaction, comes to us all. We call into question the clear insights of our youth. We have a sense that there is more to us than what meets our psychic eye: this longing for more is our innate quest for wholeness. We must recognize the limits of our Hero, once so intoxicating, and forge new allegiances. We say goodbye to our heroes of the past, often at a time of personal crisis, in a very dramatic way. We don’t so much have to kill our Hero function as our heroic attitude, the inflated self-concept that we have built around our dominant function. Jungian analyst John Beebe (2012) argues that C. G. Jung’s dominant function would have been introverted intuition: “As adept as Jung’s thinking function was, I believe it was never more than an auxiliary function for him and that his inborn dominant function was introverted intuition” (p. 62). 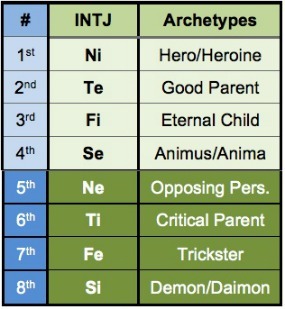 In MBTI® terminology, Beebe is positing that Jung was an INTJ. Jung started writing the material for his Red Book in 1913 when he was approaching 40, and in fact, midlife is typically when a period of psychological rebalancing occurs. At this time, the death of the heroic attitude creates a void and gives us an opportunity to build relationships with other parts of our psyche. Sonu Shamdasani (2009), editor of The Red Book, explains that Jung saw the second half of life as a “time of conserving previous values together with their recognition of the opposites. This meant that individuals had to develop the undeveloped and neglected aspects of their personality” (p. 80). The riches of early life are not wasted; rather, they become the foundation upon which a more fully-integrated life can be built. A state of wholeness is a state of balance, of holding the tension of the opposites. “Without balance you transgress your limits without noticing what has happened to you. You achieve balance, however, only if you nurture your opposite. But that is hateful to you in your innermost core, because it is not heroic” (Jung, 2009, p. 226). First comes the development of the Hero; next is the “fall” or death of the Hero, which brings awareness that something is missing in the psyche, leading to the rejection of the heroic inflation and the longing for more. Then comes the real “journey,” the quest for balance in the psyche; holding the tension of the opposites; and crucially, holding the tension between our highly conscious dominant/superior function and our much less conscious inferior function, namely, between the Hero and the Anima/Animus. Addressing the slaying of the Hero Siegfried early in its pages, The Red Book (Jung, 1990, pp. 160-161) is ultimately a “post-heroic” work (Shamdasani & Beebe, 2010, p. 417). The Red Book contains an intimate account of Jung’s engagement with “the spirit of the depths” while Shamdasani’s wide-ranging 95-page Introduction sets Jung’s narrative in the context of the “spirit of the times” in which Jung was living. Jung realized that we have to pay attention to the spirits of both realms and that he had neglected the spirit of the depths (inner work) in favor of the demands and accolades of daily life. In The Red Book, he chronicles his own path of individuation through his inner work and also seeks to determine principles that apply to psychological development in general. The lessons he learned can apply to our own lives. Our integrity lies in uniting the flat, one-dimensional world of the Hero with the hidden dimension of the Anima/Animus. Doing so gives us our psychological backbone. Jung (1921) explains in Psychological Types that “[introverted intuitive types] are living evidence that this rich and varied world with its overflowing and intoxicating life is not purely external, but also exists within” (para. 665). However, in order to develop his spine, Jung had to set aside his introverted intuitive knowings of the workings of the universe and engage with his unconscious. Doing his inner work connected him with his inferior function, extraverted sensing, and as a result, he found his integrity. In November 1913, Jung began a series of active imagination dialogues. The sessions continued through April 1914, and the material from this period became “the primary part of the material he [would] use to create The Red Book a couple of years later” (Stein, 2010). Jung dialogued with a series of fantasy figures that appeared to him upon invitation during periods of quiet in which he purposely emptied his mind of all content and paid attention to his mood (Shamdasani, 2009, p. 53). He determined to stay open to whatever the figures had to tell him, no matter how unpalatable. He treated these imaginal encounters as real, and he engaged with the figures; he was not a detached observer. Because of this mutual engagement, one interesting point of note about these figures is that they, too, were influenced and changed by their encounters with Jung, according to his account. This was not a one-way street; Jung had something to offer them as well as something to learn. A necessary first step of individuation is to develop the heroic function. Jung was not a blank slate at middle age. Notwithstanding the obvious conundrum of using the psyche to observe the psyche, Jung attempts to explain the significance of his encounters with the fantasy figures. First he gives an account of his conversation with each figure, presumably recorded as accurately as he can get it. Then he analyzes what happened and attempts to derive meaning. Finally, he uses the experience as a touchstone for a kind of free-flowing enthusiastic sermon. The translators of The Red Book (Jung, 2009, p. 97) explain that the first “stylistic register … faithfully reports the fantasies and inner dialogues … while a second remains firmly and discerningly conceptual. Still a third writes in a mantic and prophetic, or Romantic and dithyrambic mode.” Jung also had the benefit of hindsight and made changes to The Red Book through the 1920s when he had moved on in his psychological development. Suffice it to say that The Red Book is multi-layered, multi-versioned, and rich with multiple meanings. The Red One arrives first, emerging from the collective unconscious. We know he is not from Jung’s personal unconscious because he has the wrong archetypal energy for that. Whereas the Red One carries extraverted sensation in the heroic position, Jung’s preference for extraverted sensation is constellated around his Anima, and that role in his personal unconscious belongs to Salome, who appears elsewhere in The Red Book. The Red One, however, is the catalyst needed to create movement in Jung’s psyche. He represents extraverted sensing in all its heroic glory and is on a quest of his own: he is going to awaken Jung’s extraverted sensing inferior function and crack open the door to his unconscious. Marie-Louise von Franz (1974) explains that “the Anima has a … connection with the deeper layers of the unconscious. She represents a bridge to the collective unconscious” (pp. 80-81). The Red One is crossing that bridge in search of Jung. Jung is looking for something although he doesn’t know what. When he meets the Red One, Jung is a tower guard, standing at the highest point of a castle. He says, “I wait without knowing what I’m waiting for” (p. 212). Like the Hero Siegfried, he carries a horn; unlike Siegfried, he doesn’t use it. In Jung’s dream about slaying Siegfried, Siegfried sounded his horn “with a jubilant sound,” rounded the mountain path “boldly and magnificently,” and moments later “fell slain” at Jung’s hands (pp. 160-161). Jung knows the strengths of this particular Hero will not serve him in this encounter. In his dream, he murders Siegfried, his Hero from his personal unconscious, because swashbuckling derring-do is not the order of the day: “The dream showed that the attitude embodied by Siegfried, the hero, no longer suited me. Therefore, it had to be killed” (Jung, 1961, p. 180). Jung needs to find a more suitable Hero archetype to assist him in his individuation journey, one that knows its own limits and is able to form alliances with other parts of his psyche. Jung may be “in the dark” about what he is waiting for, but his unconscious has issued a summons, and the Red One accepts the call, riding up on his charger to rescue Jung and save not only the day but also Jung’s psychological life. As a hero from the collective unconscious, the Red One is on a par with Jung’s personal Hero of introverted intuition, and they engage with each other on equal terms. The subtitle of this section is “The Images of the Erring,” so we know this is not a one-sided battle. Jung is going to meet a series of imperfect figures who offer him a different perspective and a chance to shift the balance in his psyche; he is not going to give up all of himself. Jung’s amateurish use of extraverted sensation may partly explain why he attracts the Red One. According to Berens and Nardi (2004), “Extraverted Sensing occurs when we become aware of what is in the physical world in rich detail” (p.7). Jung is looking out over the surrounding countryside, noticing the scenery, and following the movement of the Red One’s red coat as he gets nearer and nearer to the castle: “My gaze wanders widely over solitary countryside, a combination of fields and forests” (2009, p. 212). He paints a picture with broad brush strokes, certainly not with the “rich detail” of extraverted sensation in the heroic position, but he’s made a start. While Jung needs to lighten up a little, the Red One needs to find a way to be serious when life warrants it. Each moves psychologically towards the other when they manage to find a pleasurable topic that they can discuss in a serious manner: the art and purposes of dancing. The Red One takes Jung’s references to dancing seriously because dancing is “his own domain,” and so the Red One “accepted some of my seriousness, and I accepted some of his joy” (p. 218-219). Once Jung accepts some of the Red One’s joy, he finds the eloquence of the extraverted sensing language: “that strange joy of the world that comes unsuspected like a warm southerly wind with swelling fragrant blossoms and the ease of living” (p. 217). How much more expressive than his bland description of the forests and fields earlier! Even so, Jung thinks the Red One might be his own, personal devil. Not only does the inferior function bring joy but also pain and despair. Jung’s green garment—depicting his psychic yearning for the joys of the natural world, life, and fertility—shines like a beacon from the top of the tower, calling the Red One. And the red coat of the Red One brings the blood of life into his castle. When the red devil suggests that they dance together, Jung literally comes to life: “My green garments everywhere burst into leaf” (p. 216). However, risk and danger accompany joy. Holding the tension of the opposites means embracing both. Meeting the Red One moves Jung towards wholeness. At the end of his first encounter with the Red One, Jung is overcome with emotion: “Your image fades. Let me take your hand, beloved, who are you? who are you?” (p. 217). He sounds more than a little infatuated with the Red One; perhaps his extraverted sensing Anima is stirring. Now that Jung has begun his inner work, he can’t go back to being the person he was before, so when he encounters Ammonius the Anchorite in a subsequent active imagination session, he takes the whiff of extraverted sensation along with him. When Jung meets Ammonius the Anchorite, he quickly sees beyond the man’s humble circumstances to the wealth within because he and Ammonius have the same dominant function, introverted intuition. Although Jung has willingly embarked on his psychological journey, he does not find it easy to give up his natural respect for the powers of introverted intuition. On a conscious level, he is resisting any learning that might have taken place from his encounter with the Red One, but something organic is happening to him that is currently beyond his awareness. Although Jung finds Ammonius sitting in a desert wasteland, he observes that he has “a book in yellow parchment, with beautiful handwriting—a Greek gospel without doubt” in his lap, and he immediately addresses him as “father” (p. 242). Whereas Jung feels a “strange fear” (p. 212) when he first sees the Red One at close quarters, he recognizes a kindred spirit in Ammonius and seeks to learn from him: “Let me talk with you. I am here to learn from you. Consider me as an ignorant student, which I am in these matters” (p. 243). Jung perceives him as a man of learning who has wisdom to impart because he seems further along in his inner journey. After all, he has apparently been meditating for years and has given up his successful teaching career (p. 247) so that he can give full attention to his inner work. Learning from the spirit of the depths is Jung’s purpose, too. Therefore, when Jung can’t understand how one gospel could have held Ammonius’ attention for so long (“You must have read this book from cover to cover often enough”), he pays close attention to Ammonius’ explanation (p. 241). This is not the time for the kind of verbal sparring game he had with the Red One. This is a serious business. According to Berens and Nardi (2004), those with introverted intuition in the dominant position are good at “synthesizing the seemingly paradoxical or contradictory,” a process which can take understanding “to a new level” (p. 7). Ammonius tells Jung that words can have multiple meanings and passages various interpretations: “When you look again at the lines before you, certain things appear new or even new thoughts occur to you that you did not have before. Every word can work productively in your spirit” (p. 241). Ammonius’ mistake in the past was to fixate on one meaning: “I’ve spent many years alone with the process of unlearning” (p. 247). He has had to forget what he thought he knew and open himself up to other interpretations. Divining the unknowable, however, is a fool’s quest that can distract a person for a lifetime of eternities. Introverted intuition needs the grounding of extraverted sensing, which is in short supply in the desert. The paradox for Ammonius is how the Word could have possibly become flesh, yet he ignores the realm of the flesh in seeking an answer; in fact, he pays scant attention to the needs of the flesh at all. Ammonius feeds Jung’s spirit with his talk of the Scriptures but does not feed his stomach. At the end of the first day, he invites Jung to sleep well and offers him an uncomfortable bed and an unappetizing supper: “Not far from the entrance lies a heap of reeds covered with mats. Next to it there is a pitcher of water, and on a white cloth there are dried dates and black bread” (p. 247). Stale bread and water are just what the Red One thought would suit Jung, so Ammonius is right on target. Surely, a trip to the brothel is just around the corner. As the hours pass, the initial attraction between Jung and Ammonius fades. The barren wasteland of Ammonius’ external environment offers few temporal distractions and demands and has enabled him to concentrate on eternal mysteries, but Jung needs more: “What shall I do this whole long morning? I do not understand how Ammonius could have endured this life for even a year” (p.253). He reacts bodily: “The unreality nauseates one. … What am I actually doing here?” (p. 254). This is a reaction of the flesh. Something is stirring in Jung: “I thought differently yesterday” (p.254). The Red One is opening his psyche to the joys of life. Whereas Jung first treated Ammonius as a guru figure, he now wants to debate with him: “But don’t you think … ? Yes, but … ?” And devastatingly for Ammonius, “Don’t you believe that you’d succeed if you were nearer men?” (pp. 257-258). Jung goes into the encounter as one introverted intuitive Hero seeking to learn from another; instead, because he has been organically changed by his encounter with the Red One and is slowly, subtly, but surely “greening up,” he finds himself noticing the deficiency of extraverted sensation in Ammonius’ world and passing that awareness onto him. Jung is a catalyst for Ammonius’ psychological development, just as the Red One was for his development. The essence of Jung’s presence and ultimately his questioning cause Ammonius to wonder if he needs “the stimulation of others” to find the meaning he is seeking (p. 258). “I feel that you come from a strange world that has nothing to do with mine,” he tells Jung (p. 255). And eventually, Ammonius begins to see Jung as a devil: “I’m confused—you are Satan—I recognize you—give way, adversary!” (p. 258). Jung interprets this as follows: “I had to appear to him as the devil, since I had accepted my darkness. I ate the earth and I drank the sun, and I became a greening tree that stands alone and grows” (p. 262). Jung’s initial encounter with the Red One started a chain reaction, and Jung and the two fantasy figures have begun a transformation. Jung has to find a way, as must we all, to hold the tensions of the opposites in his psyche. Bread and water are not what Jung needs, nor does he need a banquet every day. Ammonius offers him a subsistence diet whereas the Red One offers over–indulgence. They are a pair of opposites, with sensory deprivation on the one side and over-stimulation on the other. Immersed in his heroic realm of introverted intuition, Ammonius is without the sorrows of daily living: “In the desert the solitary is relieved of care …” (p. 248). Unfortunately, the absence of care (worries) also means the absence of joy, for they are opposites, and each defines and informs the other. Later on, Jung finds these “two strange journeymen” at odds, yet managing to get along (p. 268). However, he describes his meeting with them in a section of The Red Book called “The Remains of Earlier Temples,” suggesting that the heroes these figures worshipped previously have now been unseated. Both the Red One and Ammonius are living in the ruins of their previous selves. Jung should not be modeling himself after either one of them. The Red One and Ammonius have each entered into and experienced the world of the other. Not only that, each has experienced that world to excess and been rescued from it by the other. After being stimulated into action by Jung, Ammonius left the solitary life to form a monastery, but in the process was filled with “an insatiable greed to see the world. I drank wine and saw that women were beautiful. I wallowed in pleasure and wholly turned into an animal” (p. 270). However, at the height of his excesses, he encountered the Red One, who helped him see the error of his ways and return to the monastery. The Red One, for his part, became serious after meeting Jung. He converted to Christianity and entered a monastery, where he introduced dancing into the worship and, in fact, across the entire town. The dancing became so widespread and constant that he wore himself out: “It was terrible. I fled into solitude. … [Meeting Ammonius] gave me strength. Through him I could regain my health. You’ve heard how he took heart from me, too, and found his way again” (p. 271). Each came to the aid of the other. Ammonius and the Red One are a comedic duo, “sheepish and ridiculous, and yet pitiable” (p. 269), a pair of grumpy old men who don’t particularly like each other but can’t live without each other. In unison, like Cheech and Chong, they say, “We can never be friends,” but together they can endure (p. 272). They have found the middle way. Ammonius finds the Red One to be a “toned-down type of devil,” and the Red One acknowledges that “the monk is hardly the fanatical type” (p. 271). One must “not identify with either of the extremes” (Stein, 2010). These two fantasy figures are not role models for Jung; rather, they are a lesson in moderation. Each perspective tempers the other, and together they point the way to psychological wholeness. The path to psychological wholeness for Jung required inner work, as it does for us all. As a dominant introverted intuitive, Jung was most at home in the realm of introversion, which focuses on the “subjective inner psychic life of reflection, concepts, and ideas,” as opposed to extraversion and its focus on interactions with the environment and its contents (Haas & Hunziker, 2006, p.23). However, Jung’s introverted intuition was highly conscious. Spending time in the inner world is not the same as doing inner work. A simple withdrawal from public life would not have been enough in itself for Jung. Therein lay the fate of Ammonius. Jung could not afford to get stuck in that desert. He had to commune with his unconscious and find a way to live his daily life in a more authentic way. Jung found a way to access his inferior function of extraverted sensation by returning to an activity he had enjoyed in childhood. There is some evidence that Jung liked to build things when he was a child: “He realized that he needed to recover the emotional tone of childhood. He recalled that he used to like to build houses and other structures, and he took this up again” when he started his active imaginations (Shamdasani, 2009, p. 17). Stein (2010) imagines that Jung would go out into his garden at lunchtime and “play” at building castles in order to “release fantasies.” The mindfulness of the activity allowed the fantasies to come forth. Jung was on a post-heroic quest to find the hidden depths of himself. In fact, at some point, Jung realized that the book was actually a letter, perhaps even a love letter, to his extraverted sensing Anima: “In putting down all this material for analysis, I was in effect writing letters to the Anima, that is, to a part of myself with a viewpoint different from my conscious one” (Jung, 1961, p. 186). He heard the voice of his Anima tell him, “That [book] is art” (Jung, 1961, p. 186). Since he viewed himself as a man of science, this took him by surprise. In developing his spine of Hero-Anima, Jung was holding the tension between the opposite worlds of science and art, and therein lies psychology. As he worked on The Red Book and moved along in his psychological journey, Jung reached a point where the use of words failed him: “Words and paper … did not seem real enough to me; something more was needed” (Jung, 1961, p. 223). More than anything else, extraverted sensation likes to keep it real; it values “practical, hands-on experience above all” (Haas & Hunziker, 2006, p. 34). Jung’s Anima was demanding even more attention. Around 1928-30, Jung (2009) turned his attention away from The Red Book and stopped writing in it (p. 555). However, he did not stop his inner work. Instead, he allowed his extraverted sensing Anima continued expression through further art work, including mandalas, those “cryptograms concerning the state of the self, which were presented to me anew each day” (Jung, 1961, p. 196). Although Jung painted the first of his mandalas in 1916, it was 1918-19 before he first started to understand their significance (2009, p. 195), and his interest in them over the next decade steered him towards alchemy and away from the now inadequate narrative structure of The Red Book. Removing the intuitive narrative filter of the written word gave fuller reign to Jung’s extraverted sensation, bringing forth messages from his unconscious and giving them material form. 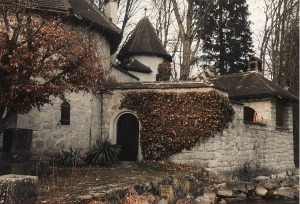 Jung’s extraverted sensation found particular expression through his continued experience of building a primitive stone house at Bollingen on the shores of Lake Zurich and chiseling images on it. He started his first tower in 1923, continuing his building work well into his old age and adding more towers and an upper storey. The tower was a physical representation of an open channel to his unconscious. Looking back on it over the years, he said he had realized that the structure was “a concretization of the individuation process” (1961, p. 225). Building the tower showed his seriousness, his intent; it was an invitation to his unconscious. Images arose through a psychological conduit and found their place in the outer world via the tower. Jung realized that the way of things to come is found not in the future but in the source whence we all came. Jung divined the unknown and found the answer through a deep connection with his least conscious function. His words are a reminder that communing with the Anima opens the door to the unconscious, but that is only the beginning of the individuation journey. Bringing an idea or concept into the light of day is a challenge for introverted intuition, even when it is dominant. An inner knowing is what drives an introverted intuitive, but often the knowing stays “inner.” According to Berens and Nardi (2004), for people with dominant introverted intuition, “life seems to be a process of ‘knowing’ without any prior or direct experience. Usually they are right, although they may have a hard time finding words to explain to others how they know [what they know]” (p.46). Turning that knowing into something concrete and tangible can be almost impossible. Haas and Hunziker (2006) explain that the language of introverted intuiting “may seem totally disconnected from the external world” (p. 148). Introverted intuiting can loop around on itself in ever-increasing circles of complexity, in danger of never seeing the light of day. Jung’s integrity shines through The Red Book. Developing the spine is not a one-time alignment of opposites but rather a continued balancing and rebalancing of tensions, a lifelong journey. Jung (2009) explains that finding meaning comes to us as we participate in life, for it is the changes that take place in us that allow us to find more meaning as we go along: “if you change, the countenance of the world alters” (p. 262). We cannot afford to neglect our inner work, but we cannot disengage from the world either. Jung’s continued inner work with the spirit of the depths kept him grounded and allowed him to function with greater integrity in the spirit of the times. He put his introverted intuiting Hero at the service of his extraverted sensing Anima, worked at maintaining the tension of these opposites, and thereby developed his psychological spine. Beebe, J. (2012). Psychological Types in Freud and Jung. Jung Journal: Culture & Psyche, 6(3), 58-71. Beebe, J., & Zabriskie, B. (2011). John Beebe in conversation with Beverley Zabriskie. Journal of Analytical Psychology, 56(3), 407-423. Beebe, J. (n.d.). A Jungian analyst talks about psychological types: A visit with John Beebe. (n.d.). [DVD]. Retrieved September 13, 2014, from Inner Explorations. Berens, L., & Nardi, D. (2004). Understanding yourself and others: An introduction to the personality type code. Huntington Beach, CA: Telos Publications. Haas, L., & Hunziker, M. (2006). Building blocks of personality type: A guide to using the eight-process model of personality type. Huntington Beach, CA: Unite Business Press. Jung, C.G. (1921/1971). Psychological types (R. F. C. Hull, Trans.). In H. Read, M. Fordham, & G. Adler, (Series Eds. ), The Collected works of C.G. Jung (Vol. 6, pp. 330-407). Princeton, NJ: Princeton University Press. Jung, C. G., (1934–1954/1981). The Archetypes and the collective unconscious, (1981, 2nd ed.) (R. F. C. Hull, Trans.). In H. Read, M. Fordham, & G. Adler, (Series Eds. ), The Collected works of C.G. Jung (Vol. 9, Part 1). Princeton, N.J.: Bollingen. Jung, C. G. (1961/1963). Memories, dreams, reflections (A. Jaffe, Ed.) (R. Winston & C. Winston, Trans.). New York, NY: Vintage Books. Jung, C. G. (2009). Liber novus. In S. Shamdasani (Ed. ), The red book (Reader’s edition) (M. Kyburz, J. Peck, & S. Shamdasani, Trans.). New York, NY: W.W. Norton. Poirier, D. (n.d.). Dominant introverted intuition. Retrieved September 13, 2014, from Personality Pathways. Shamdasani, S., & Beebe, J. (2010). 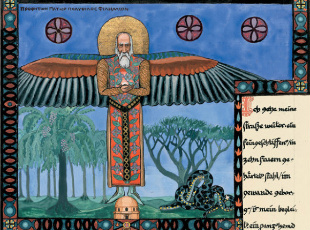 Jung becomes Jung: A dialogue on Liber Novus (The Red Book). Psychological Perspectives, 53(4), 410-436. Stein, M. (2010). Carl Jung’s red book. AJC#10-11. [DVD]. Available from Asheville Jung Center. von Franz, M-L. (1974/1995). Shadow and evil in fairy tales. (Revised ed.). Boston, MA: Shambhala. C.G. Jung, circa 1913-1930. Text and image courtesy of W.W. Norton & Company and The Philemon Foundation. 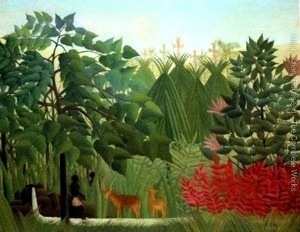 Henri Rousseau, “La Cascade” (“The Waterfall”), 1910. Courtesy: Art Institute of Chicago. 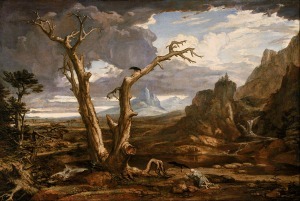 Washington Allston, “Elijah in the Desert,” 1818. Courtesy: Museum of Fine Arts, Boston. Photographer unknown. Jung’s Bollingen retreat. Jenny takes the reader into Jung’s journey to explore the depth of self in this informative, well-written, and intriguing article. Nice job! I think it’s fair to argue that Jung’s most prioritized function might have been introverted intuition. His own statements on this matter are not quite clear, as at one point he claimed to be oriented by sensation and thinking, and at another by intuition and thinking, and in the latter case, doubt seems to remain as to which he claimed dominant, though the more common interpretation seems to be that he was saying thinking is dominant. At the time of writing Psychological Types, Jung appeared to spill that he is of a rational psychology, and thus, one would surmise given his other remarks, that at the time he thought thinking was dominant and sensation auxiliary, with intuition and feeling unconscious. With a holistic look at things, I have found the most encompassing solution to the conundrum is that not all types are created even close to equal – Jung was far from a pure intuitive, whatever he was, as he bears significant difference from for instance the woman he describes in his Freeman interview late in life. It seems like Jung and Marie-Louise von Franz were some of the rare cases of people who truly develop two exceptionally strong functions (relatively rare in the world). Thus, I would think to call both of them intuitive-thinkers – somewhere in between (von Franz herself seems to suggest in interview that she thinks her typology was very close to Jung’s). There can be little doubt to me that, unlike the many academics of our time, they do not exclusively appeal to rational thinking, which is part of what makes their ideas so ripe for those who seek an alternate take on things. But both of them seem to have been pretty strong intellectuals, unlike some of the more purely irrational intuitive types one encounters, such as the one Jung spoke of in his Freeman interview. And lest someone think they can pretty much switch nonproblematically between intuition and thinking, I’d say that’s probably overestimation: it seems fairer to say they were truly somewhere between in preference. In other words, I can see those of a more purely rational psychology having difficulty with their ideas, likely on the basis of these rationals’ typologies, and also those of a more purely irrational preference finding their ideas appealing way too much to the thinking function. Of course, it’s likely both Jung and von Franz took significant steps to transcend what they felt were the limitations of the ego and its habitual patterns, but remnants of whatever portion of their typologies was innate exist in so far as some ego is generally inevitable. For Jung’s psyche, Ammonius the Anchorite represents Introverted Thinking. As Jennifer intuitively perceived, the statement “the stimulation of others” is important, but that is not Extraverted Sensation, but Feeling. Re-reading the same words and finding new meaning (the Word/Logos is related to Ti) gives away his nature. He is missing his other half, Extraverted Feeling, to be of help to Jung. Also, Fire (red) is the element of Feeling, not Sensation. Free outflaw of emotions (as Jung experienced during his meeting with the Red One and as Jennifer notes gushes with emotion at the end of it) might not always mean Extraverted Sensation. Later on the two are re-united with a journey over the Sea (the unconscious helped) and rub off each other in some strange ways. Jung’s consciousness absorbs the content they brought him and the archetypes recede, having done their job. Now please do the Librarian/old Scholar part. I believe you can uncover valuable meanings there. Jennifer Soper (INFJ), co-editor of Personality Type in Depth, has an Honors degree in English from the University of Manchester in the UK. After further professional training, she worked as a career counselor with teenagers and young adults in the UK. 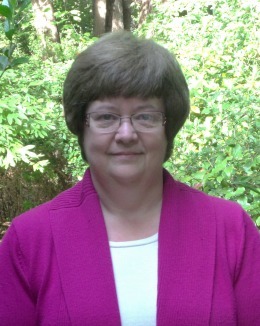 A Licensed Professional Counselor in North Carolina, she works at Wake Technical Community College in Raleigh, NC, where she uses psychological type to tutor students of all ages in study skills and writing. She received the Innovations in Training and Education award from APTi Southern Region.